This quote made me laugh so I thought it needed sharing. I can't really comfort myself with the fact that my flaws are OK because I am a film star, solving world peace or even changing the world but I can see that what I see is not what others see. I am pretty sure that if I asked my friends or family what they liked about me, it wouldn't involve my dress size, the state of my skin, the photos I put on instagram or even the clothes that I am wearing. And I don't judge them that way. I value compassion, passion, brains, humour, creativity and empathy in my friends. However, trying to value myself is a minefield. It probably won't come as a surprise that I paint my nails, use body lotion, run, try to eat healthily... but I don't value my time at all. I am pinging from one thing to another constantly - and whilst this means I am the ultimate Jack of all Trades who can turn her hand to pretty much anything and appears as one of life's high achievers, there is a cost and that cost is tiredness which can manifest itself as over-thinking and worry. I was asked today to write down ten things I want to do for me tomorrow and ten things I want to do for me in 2014. 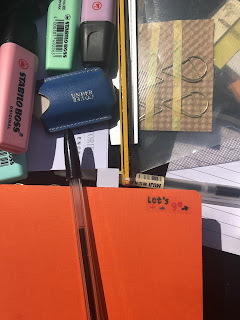 The aim was for me to be able to see what I wanted to do so that I could understand how to say no to things that perhaps I don't really want to do (but as my diary had a slot, I did them). I managed three for tomorrow and two for 2014. It's not that I don't have a zest for life - quite the opposite - it's just that all the things I can think of are either task-orientated or would make other people happy.